Bet you didn't think I'd post again this soon, did ya? I didn't think so, either, but I wanted to let you know about a cookbook coming out this week that is pretty amazing, as a matter of fact. 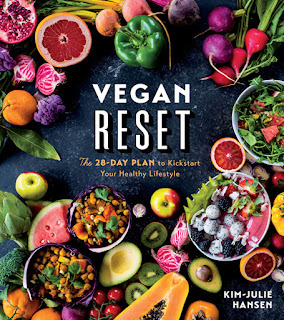 Vegan Reset (Amazon) was written by Kim-Julie Hansen of Brussels Vegan (though now the site is KimJulieHansen.com). Kim-Julie explains that "reset" is just like it sounds; think of restarting a machine that's been malfunctioning or not working the way it should and pressing the magic button to send it back to the reset stage. She explains that the book is about giving your body the love and attention it needs to survive and thrive. There are a few things I love about the book. She does a reset section, which is roughly half of the book, that covers 28 days (4 weeks) of menus, breakfast, lunch, dinner and a snack, and she gives you the menus, the shopping lists and the bulk cooking strategies (along with all the recipes for everything!) of each week. Now reread this paragraph because it is packed. Did you get that? She is basically holding your hand and walking you through each day of each week, for a month. The menus are there, the shopping lists are provided and the methods and process of bulk cooking twice a week is spelled out. All the recipes are with the weeks and everything has a photo. Each meal and each menu item. Great, you say, but I don't want a reset. I just want to cook and eat. In addition to all the recipes and menu ideas for the weeks, for each meal, she also provides regular menu items that help you along, either after the reset, or just as a regular dinner or lunch or breakfast dish. Let me be clear. 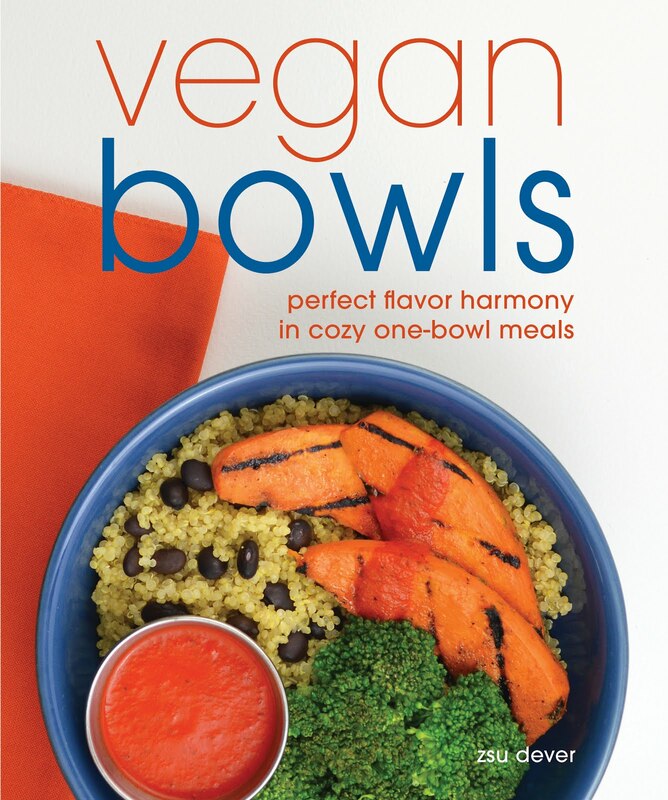 Although this book can be used as a "reset," complete with 84 meal dishes and their recipes, it can also be used just as a regular cookbook of great meals, including drinks and desserts. Or you can choose a few days in a row that sound good to you and cook those meals. The reset part of the book is a bonus; the entire book is a gem. 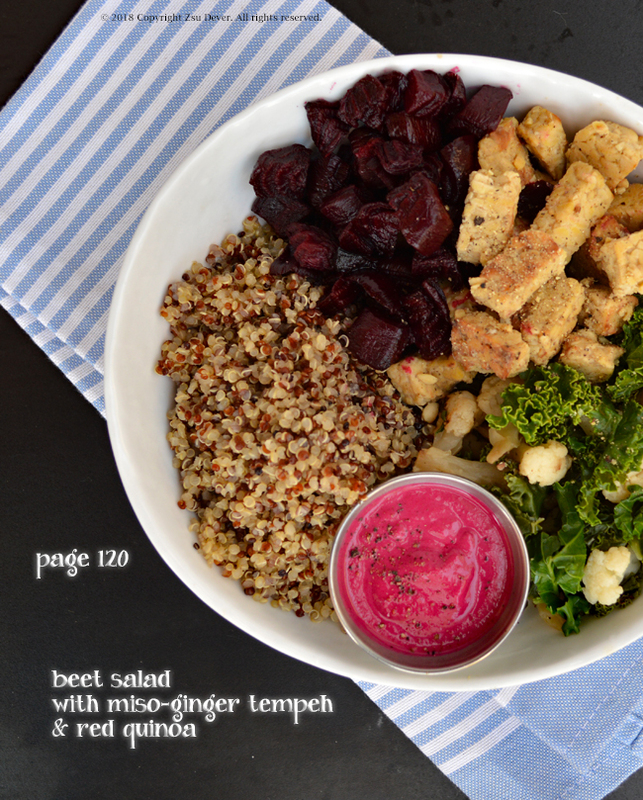 This is a Beet Salad with Miso-Ginger Tempeh and Red Quinoa. This salad bowl is a composition of other parts of the meal of the week, on Day 22. The other meals this day are: Oatmeal with Papaya & Brazil Nuts for breakfast and Creamy Butternut Noodles for dinner. This Spinach Pasta with Zucchini-Nut Sauce is a recipe out of the fourth part of the book, named "Beyond Reset: Additional Recipes." This was a perfect summer dinner. 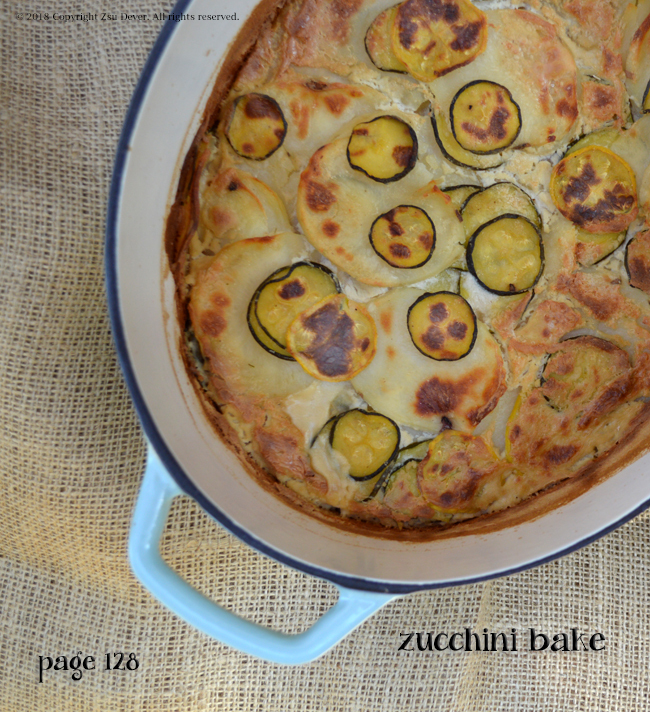 This Zucchini Bake was an ideal addition to our lunchbox. Because the potatoes were creamy, there was no harm done to the texture as it sat in the fridge the night before, and in the lunch box all day. 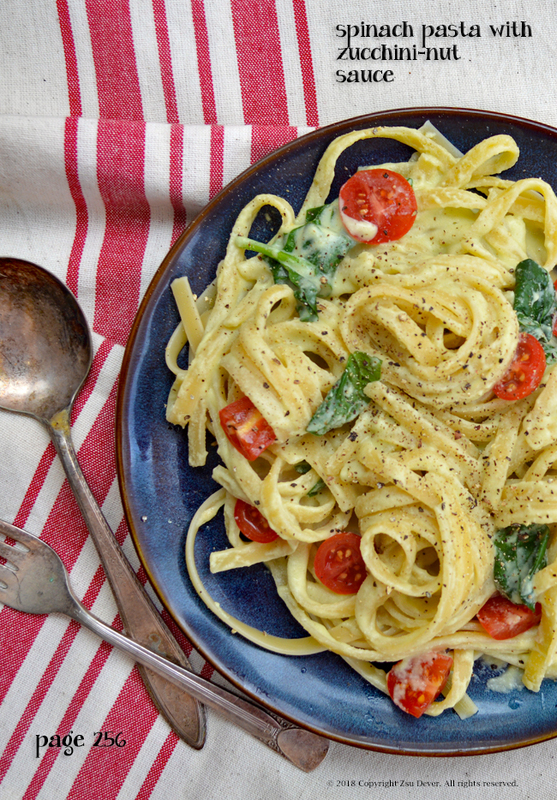 Cashews are the base to this cream sauce. The other meals on this day, Day 26, are, for breakfast, Sunflower Seed & Berry Toast and for lunch, Heart of Palm & Kale Salad. I doubled these recipes because, while the book is great for 1 person resetting, the recipes are made for 2 servings (or so) and we are a family of 5. 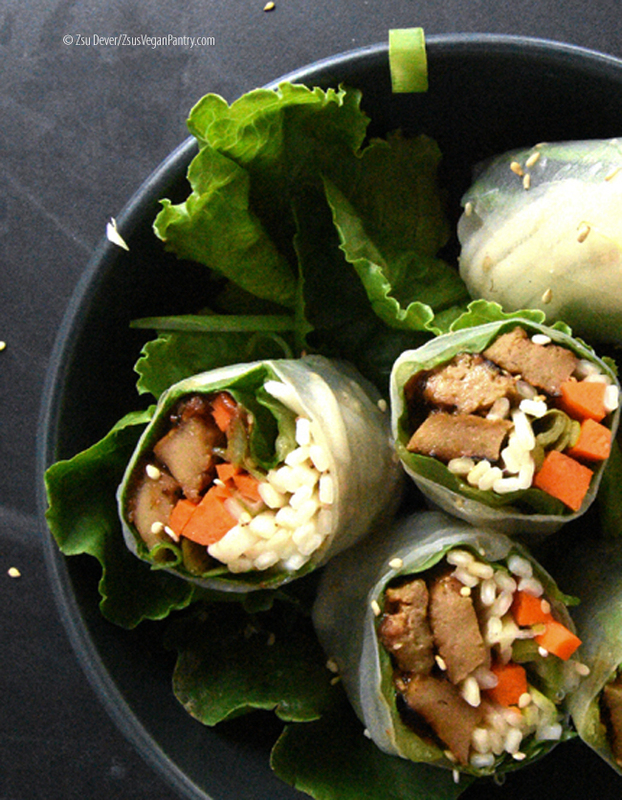 Now, you know the drill: test the recipe below and enter the contest to win a copy of the book Vegan Reset, US residents only, please. The contest ends on September 17, 2018. Good luck! 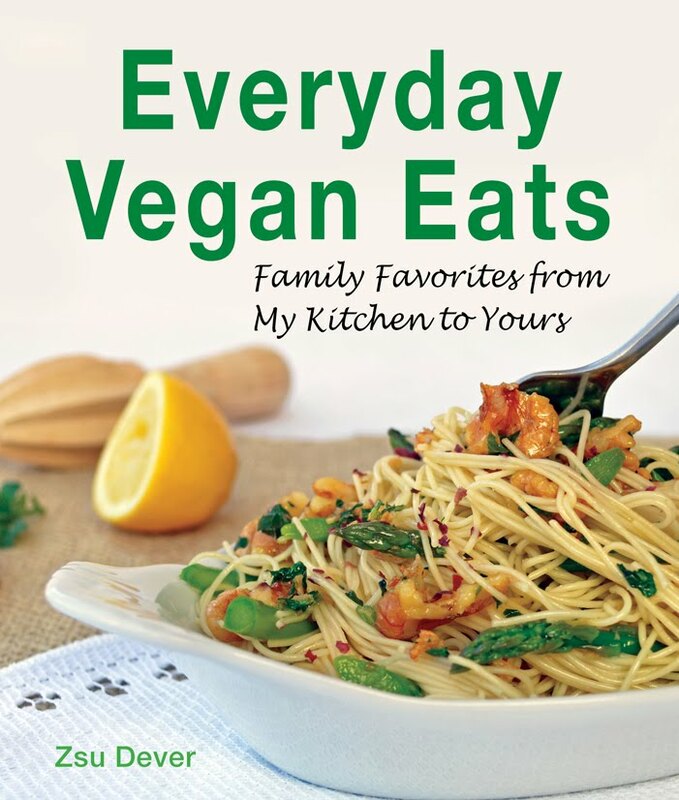 Excerpted from VEGAN RESET © 2018 by Best of Vegan LLC. Photography © 2018 by Best of Vegan LLC. Reproduced by permission of Houghton Mifflin Harcourt. All rights reserved. 1. Mix the flour, cornstarch, flaxseed, baking powder, and salt together in a bowl. 2. In a separate bowl, mix the soy milk, maple syrup, coconut oil, vinegar, and vanilla. 3. Combine the wet and dry mixtures and whisk together thoroughly. 4. Heat the oil in a skillet over medium heat, then scoop 2 to 3 tablespoons of batter per pancake into the skillet. Cook on each side until brown. 5. 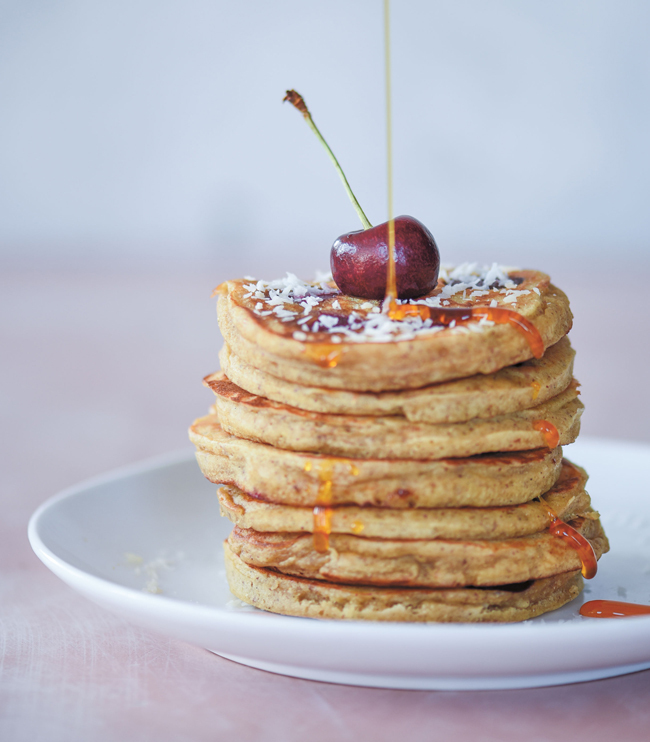 Serve with the coconut, cherries, and additional maple syrup. 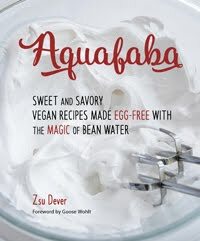 If you are using homemade aquafaba make sure it is nice and thick and viscous. If you are using canned aquafaba, reduce it by 1/3 before using to get the right consistency. 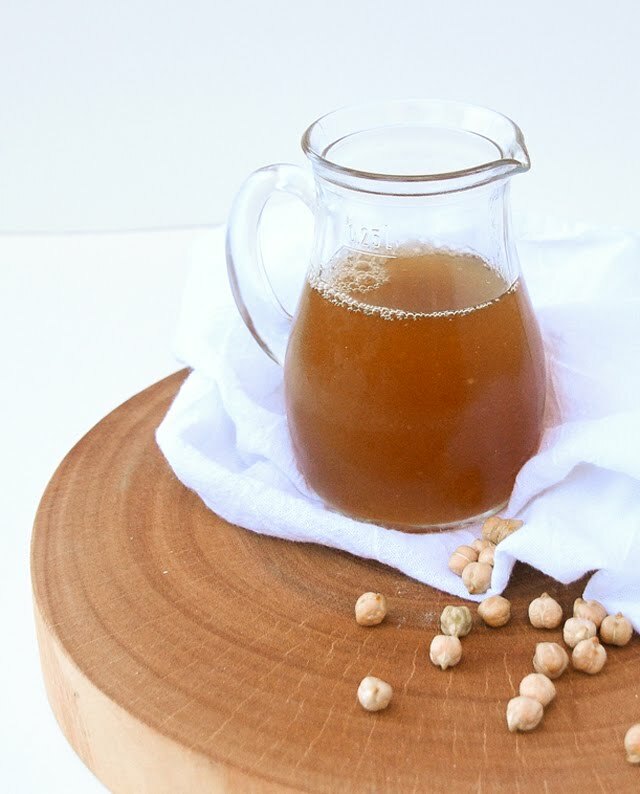 Strain the aquafaba before using; warm aquafaba strains better because it is thinner. Aquafaba thickens as it cools. This blog is an Amazon affiliate.